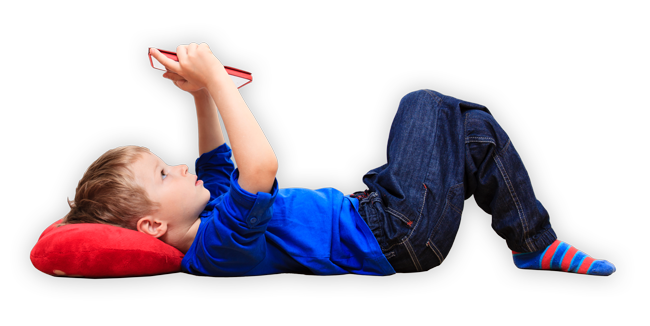 Worried about the amount of time your kid spends on his tablet? Looking for a powerful tool to protect him when he connects to the Internet via his device? 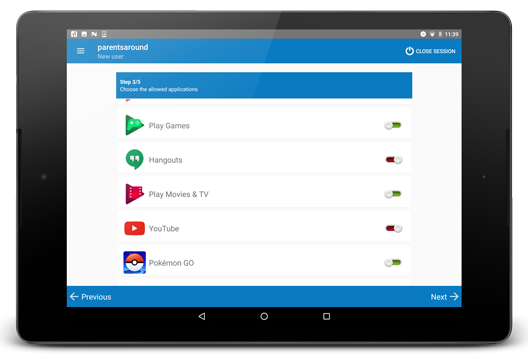 Try Parentsaround.com for free and discover an Android parental control made to protect kids and teens on their mobile phones and tablets. 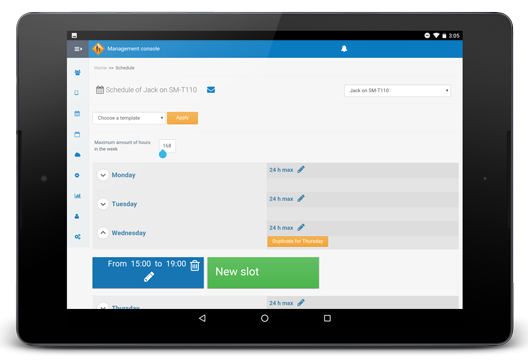 Our Android parental control for tablet helps you to remotely control your kid’s activities, with features such as time management, an internet filtering system or apps blocking. Note that all of them work equally on 3G, 4G, and Wi-Fi. Download the Parentsaround.com app on your kid’s device and log-in to your dashboard to monitor his online safety. Set up a maximum time of use for each day to help him diversify his leisure activities. Choose the essential apps available even when your kid is outside the authorized time slots. 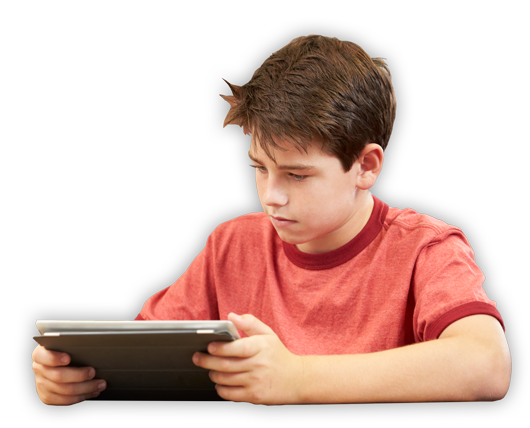 Manage the apps your kid can use during and outside the allowed time slots. Stay informed of the apps your kid installs via email notification. Need a safer environment for younger children? Discover our tutorial for Android devices.